Southern Star produces a 21'6" center console boat that can be modified to fit your needs. The boat has a shallow draft suitable primarily for bays. This is our standard 216 model consumer boat. 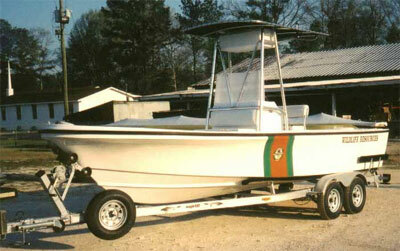 This is a customized 216 model commercial boat for river Patrols. Call about our patrol boat options.